Fat-free is the way to be! This BodyGroup aims to reverse obesity levels on a global scale. When we eat too much food, our body turns it into fat. When we work our butts off in the gym, our body turns fat into energy. The Fat-Free Society aims to deter the first action and promote the second. As this group nears 900 members, it remains grounded in its original premise: to motivate one another. People with high body fat percentages often become demoralized by the slow pace of change, but this group of members is dedicated to developing bonds between those who have accomplished the great change, and those seeking a transformation. For its dedication to fellow members, the Fat Free Society is this month's BodyGroup of the Month. Founder apoforce gave us the lowdown. We are a group of people who have been successful in achieving low body fat percentages and appreciate other people's efforts to take care of themselves. Not only should we exchange tips and preferences, but also socialize and develop bonds of friendship with others like ourselves. 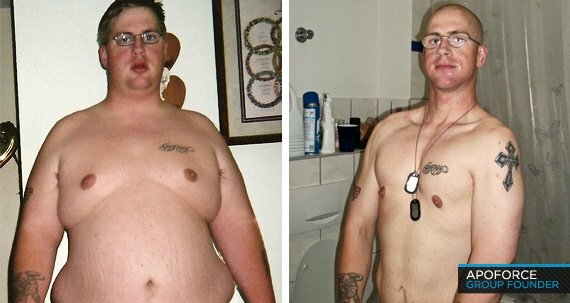 Every member of this group has committed themselves to: "Motivating not only each other, but also those outside the Fat-Free Society as well." The Fat-Free Society is about fighting the trend in America and worldwide of fast food and sedentary lifestyles. Likewise, we acknowledge that physical fitness is a God-given right to everybody regardless of age, race, gender, or nationality. Last, the Fat-Free Society is not just for those who have achieved physical fitness, but also for those sincerely wishing to achieve said state of physical fitness. I started the group because I myself appreciate the effort that people invest into taking the time to work toward a better state of physical fitness. I do not take joy solely in my own accomplishments, but in those of others as well. The Fat-Free Society has developed into a good group, has received its fair share of praise, and has grown larger than I could have ever imagined. All this could not have been done without each and every one of the members. How do the members use the BodyGroup feature? When the members of my group have information to share, such as dieting tips, they do so. Likewise, they are good about commenting on posts and are open to share life experiences. Who are five of your notable members? The first member I would like to mention is NowOrNvr. She was the first member of the group whom I can recall. She encouraged me in the earlier stages of the group's development and has been very patient and true. Just this month she achieved a great milestone, getting her body fat percentage down to 20 percent. When I first started the group I asked her to please be patient while I sought more members, fearing she would leave before then. Her reply was an enthusiastic, "Go get'em!" Juleshub is another member who looks great and is just as beautiful on the inside as she is on the outside. She is a personal trainer and an aspiring fitness model from the great country of Great Britain. MsAussieThunder is another great person whom I am honored to call my friend. Like Jules and myself, she is over 30 years old, and like Jules-not necessarily myself, however-she looks great for her age, too. And if you cannot guess where she comes from, here is a clue: It's not Antarctica. A while ago I saw a blog post lookitsed wrote about a juice fast. I asked him to discuss it in my group and he did not hesitate one bit. Thanks, bro! Last, but not least, is another bro who is just as friendly as all my members. His name is sonofmorning. He has achieved a state of physical fitness that puts even myself to shame. Good job, bro, and keep up the good work! How would you explain the attitude of your group to a new member? The attitude that I try to foster in the Fat-Free Society can be summed up in two words: friendship and encouragement. Likewise, the members are encouraged to support and encourage not only those within the group, but those outside the group as well. Their efforts have encouraged me to always look toward achieving a better state of physical fitness and get back on the proverbial horse when I fall off, which does happen occasionally. Likewise, they inspired me to look toward being a good founder and improving the overall quality of the group. Last, they help me remain accountable for all my actions. What would you tell someone who is contemplating joining your group? To anybody contemplating making the commitment I would say that they will be welcomed warmly with open arms. Likewise, if they ever had any questions, I am sure somebody has the answer. Last, if they have any tips themselves, please share. That is what creates progress in all toward achieving improved physical fitness. How do you think the group mentality has applied to your own life? Knowing that I have so many friendly members definitely brightens my day. I look forward to leading by example, and making achievements. My goal is not to gain praise. Also, their friendliness has helped me establish friendships with others within my local gym. I am by no means trying to say there are not other good groups out there. I am trying to create a light and carefree atmosphere that fosters friendships and promotes physical fitness. Nothing makes me happier than seeing a person take pride in their physical fitness. What is the best way to motivate others within the confines of the group page? The two attributes that are most important to motivating others within my group are dedication to the group and the willingness to share any information they may have.